Gold color. Aromas of ripe apples, tobacco, ripe honeydew melon, caramel, fig bar, and burnt orange with a round, vibrant, fruity light-to-medium body and a smooth, subtle, very long grilled bread, compound butter, Peychaud’s bitters, allspice, and ginger finish. A terrifically balanced Single Pot Still whiskey with excellent concentration and length; sip this! Bottom Line: A terrifically balanced Single Pot Still whiskey with excellent concentration and length; sip this! 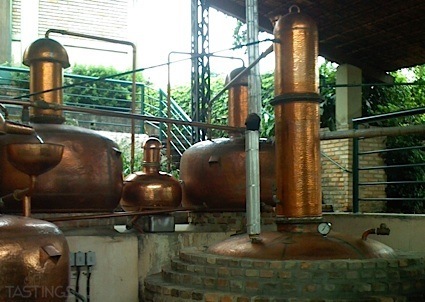 Single pot still whiskey is an in Irish whiskey made at a single distillery from a mixed mash of malted barley and unmalted "green" barley in a pot still. 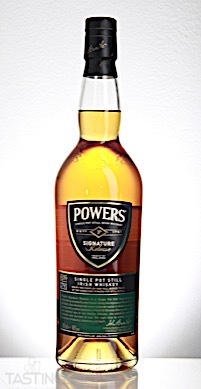 Powers Signature Release Single Pot Still Irish Whiskey rating was calculated by tastings.com to be 93 points out of 100 on 7/27/2018. Please note that MSRP may have changed since the date of our review.